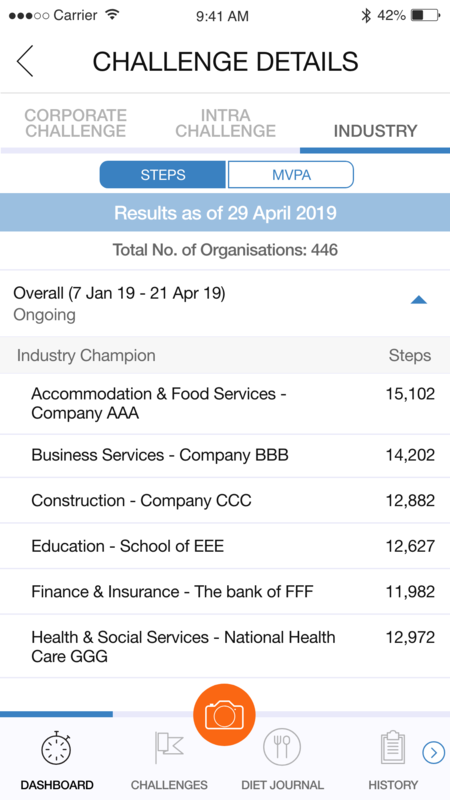 The National Steps Challenge™ Season 4 is back with Corporate Challenge 2019! For enquiries, please contact us at stepschallenge@hpb.gov.sg or call us at 1800 567 2020. 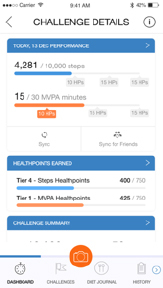 The National Steps Challenge™ Season 4 is back with Corporate Challenge and a new heart-rate monitoring fitness tracker for all! Gear up with your colleagues, step up to the challenge, and win attractive prizes as a team! There are more ways for your organisation to win the top spots this season! 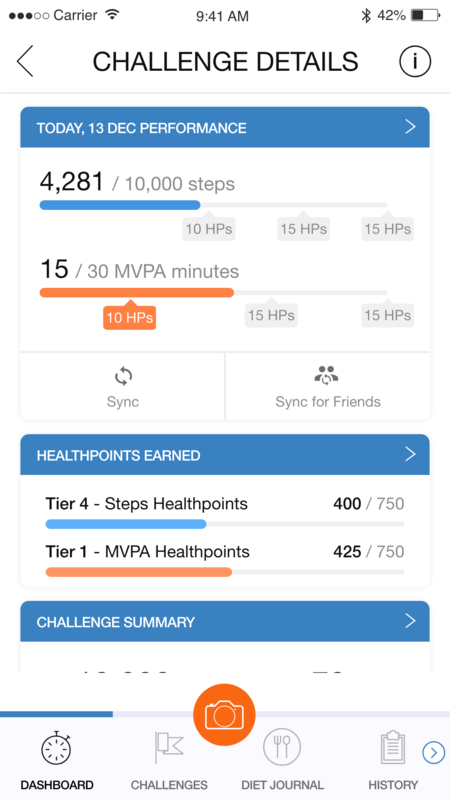 In addition to the Steps leaderboard, we are introducing a new Moderate to Vigorous Physical Activities (MVPA) leaderboard to reward the top 3 organisations with the overall highest weekly average MVPA duration! Employees of participating organisations must be at least 17 years old at the point of registration. Participating organisations must have a valid UEN or ACRA number and meet the minimum participation rate1. 1 At least 25 employees for organisations with workforce size of less than 200; at least 15% of workforce size or 250 employees (whichever is lower) for organisations with workforce size of 200 or more. Registration for Corporate Challenge has ended. Physical activity is a core component of a healthy lifestyle. To achieve substantial health benefits, individuals can work towards clocking 150 minutes of MVPA per week with at least 10 minutes each session. Activities include brisk-walking, cycling, step aerobics and playing soccer. 2Daily average step count = total number of steps accumulated by all participating employees/summation of total number of days in challenge for all participating employees. 3The organisation with the highest daily average step count per participant for that particular month will be the “Monthly Winner”. There are 4 rounds: (a) 7 – 31 January 2019; (b) 1 – 28 February 2019; (c) 1 – 31 March 2019; and (d) 1 – 21 April 2019. Each organisation is only eligible to win this prize once. 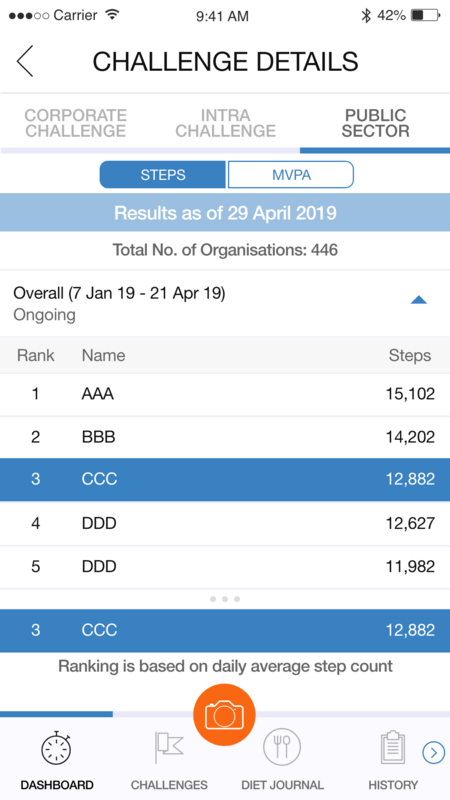 4The top 3 most improved organisations will be based on the largest difference in daily average step count per participant in that particular month, compared to the previous month’s daily average step count. There are 3 rounds: (a) 1 – 28 February 2019, based on January’s average; (b) 1 – 31 March 2019, based on February’s average; and (c) 1 – 21 April 2019, based on March’s average. Each organisation is only eligible to win this prize once. 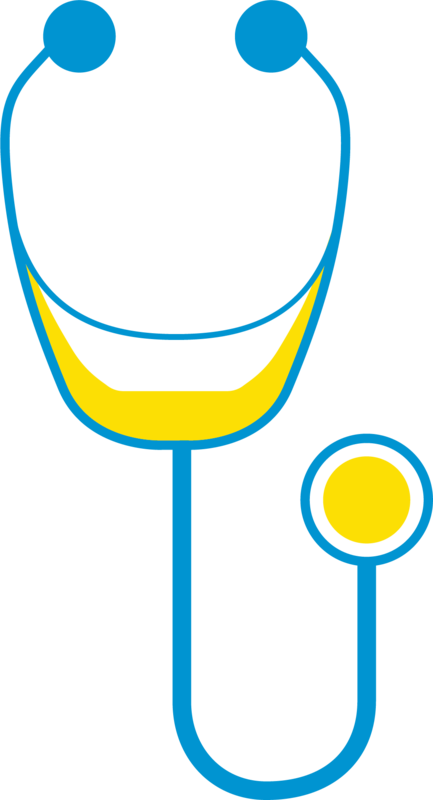 5Weekly average MVPA duration = total number of MVPA minutes accumulated by participating employees/summation of total number of full weeks in the challenge for all participating employees. Employees of organisations which opted for the Intra-Challenge6. Stand to win additional prizes for yourself in our Tap & Win game every day when you clock 10,000 steps or more! 6Prizes for the intra-challenge may be sponsored by your organisation. MVPA refers to moderate to vigorous physical activities. Physical activity is a core component of a healthy lifestyle, and covers a range from incidental movement (such as walking to get to places) to leisure-time physical activity such as sports and exercise that range from moderate intensity to vigorous intensity. How do I know if my activities are of moderate to vigorous intensity? To gauge your level of intensity, you can simply measure your heart rate during your activities. Heart rate is measured in beats per minute (bpm) and can vary greatly from person to person depending on factors like age and fitness level. Exercise within the moderate to vigorous heart rate zones to clock MVPA! In other words, MVPA is attained when you reach at least 64% of your maximum heart rate. HOW DO I ESTIMATE MY MAXIMUM HEART RATE? Moderate-intensity physical activities refer to those that cause a noticeable increase in breathing rate and heart rate. For instance, brisk walking at approximately 100 steps per minute should get you to an intensity that you will be able to carry on a conversation but will not have enough breath to sing. Vigorous-intensity physical activities refer to those that cause large increases in breathing rate and heart rate. For instance, you will not be able to carry out a conversation while you are jogging or doing step aerobics, but you are not out of breath. You can now check your heart rate easily during your activities with the HPB fitness tracker! The HPB-issued heart-rate monitoring fitness tracker can track your heart rate continuously as long as it is charged and worn correctly on the wrist as you move throughout the day. To monitor heart rate at greater accuracy during exercise sessions, trigger the Exercise function within your HPB fitness tracker. For instructions on how to activate the Exercise functions, kindly refer to the instruction manual which comes along with the Tracker within its packaging, or refer to the FAQ. *Do note that the function to sync your MVPA duration to the Healthy 365 mobile app is only available from 27 October 2018. You will need to update your Healthy 365 mobile app to the latest version from 27 October 2018 onwards in order to access the full features and functions. The Greater Singapore Workout is now greater with a new mix of music and catchy dance steps! Here’s your chance to win great prizes by showing us your moves. 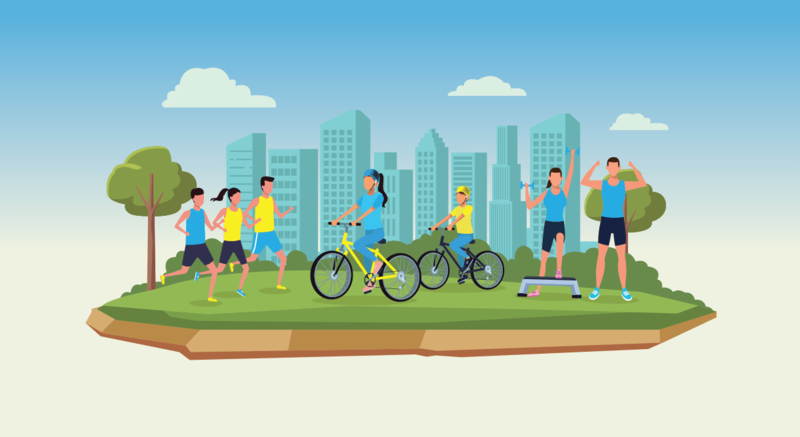 Gather at least 10 colleagues and choreograph a new exercise routine, incorporating moves from the Greater Singapore Workout. Finally, take a video of your team working out to this routine at your workplace and post it on Instagram. 10 winning teams will stand to win attractive prizes from Actxa, Jabra and Timberland! GET STARTED IN THESE EASY STEPS! Gather your colleagues and create your own exercise routine, incorporating moves from the Greater Singapore Workout. Check out the moves here. TAKE ONE FOR THE TEAM AND WIN PRIZES AS A TEAM! Stand to win exciting prizes when your team’s video receives the most number of “Likes”! Each team can win up to 30 prizes. Win exciting prizes in this season of the Corporate Challenge! Rally as many colleagues as you can to clock at least 150 minutes of moderate to vigorous physical activities (MVPA) in one week and you could walk away with exciting prizes from OSIM, Reebok and True Fitness! Click here to find out more about MVPA. Wait no further and start moving to a healthier you with the MVPA Warrior Challenge. 1A maximum of 1500 prizes are given to each winning organisation. HPB reserves the right to replace the stated prizes with alternatives. Prizes are on a while stocks last basis. 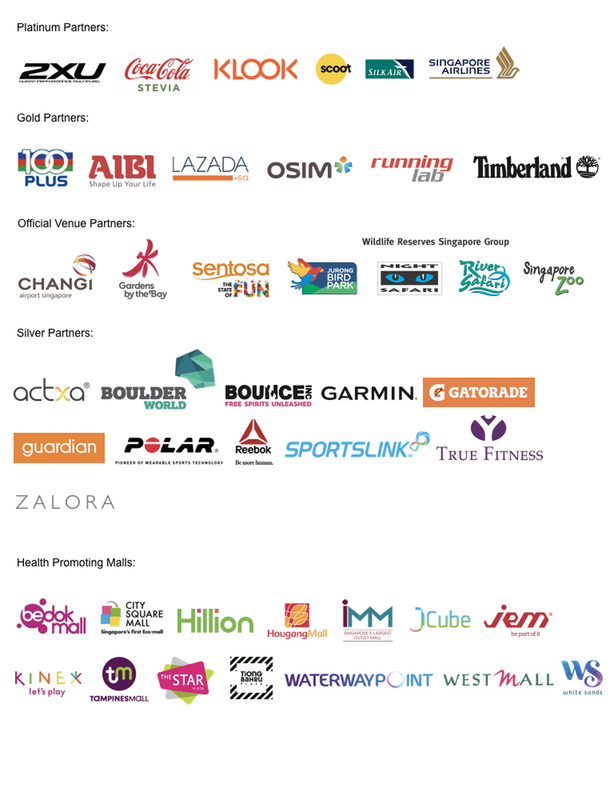 7Defined as number of participants who successfully signed up, added his/her fitness tracking device and remained on the challenge till the end of the Corporate Challenge. Gather more of your colleagues to join Corporate Challenge and earn your place as a Corporate Friend of National Steps Challenge™. Download or update to the latest version of the Healthy 365 mobile app. Create your profile, or restore your profile if you already have one. 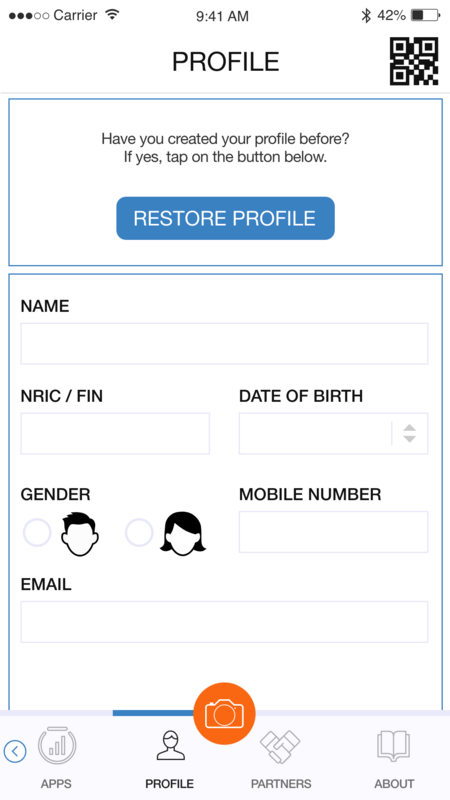 If you are restoring your profile on the Healthy 365 mobile app, a 4-digit One-Time-Pin (OTP) will be sent via SMS to your registered mobile number. Key in the OTP and your profile will be restored successfully. 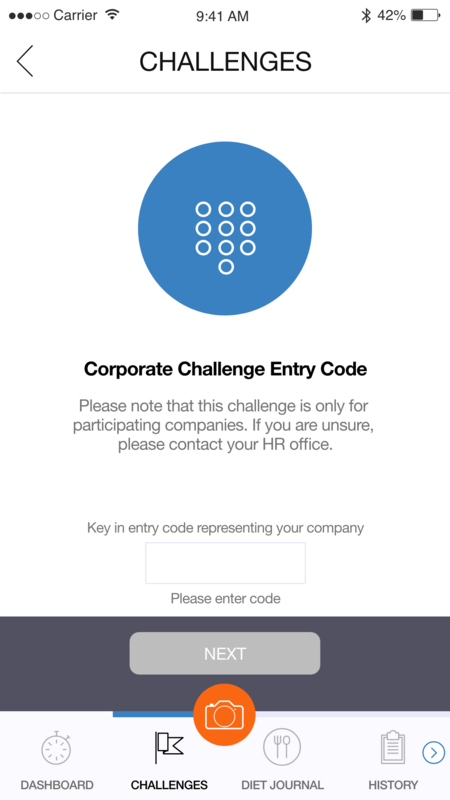 Select “Challenges” on the Menu bar to sign up for Corporate Challenge. Key in your organisation’s unique 6-digit entry code. Agree to the Terms and Conditions of the Corporate Challenge. Select “Apps” on the Menu bar and choose your preferred fitness tracking device to pair with the Healthy 365 mobile app. Use the FREE HPB fitness tracker* or one of these compatible1 mobile apps and fitness trackers. Aim for at least 150 minutes of moderate to vigorous physical activities every week and 10,000 steps every day. Sync your HPB fitness tracker* with the Healthy 365 mobile app or Healthy 365 kiosks at least once every 7 days to avoid losing your fitness activity records. HPB fitness trackers are continuously recording your heart rate, as long as it is charged. If you wish to view your heart rate at real-time, you can tap on the heart rate symbol on your tracker. 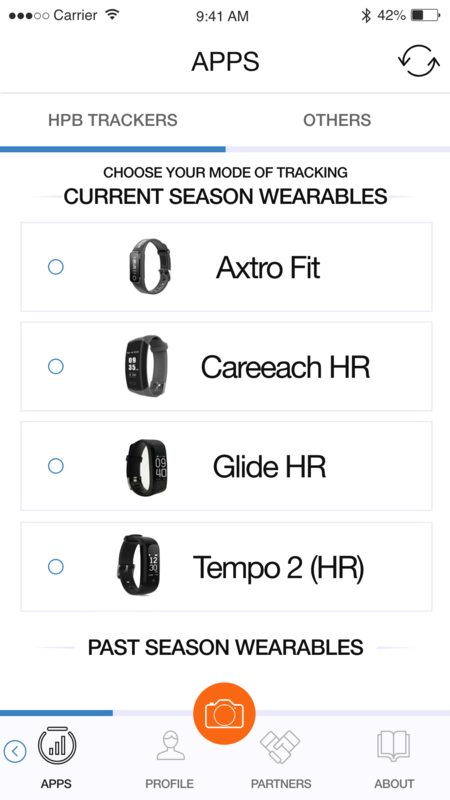 *Eligible employees who have signed up for Corporate Challenge are eligible for the free HPB fitness trackers, available on a first-come-first-served, while stocks last basis. 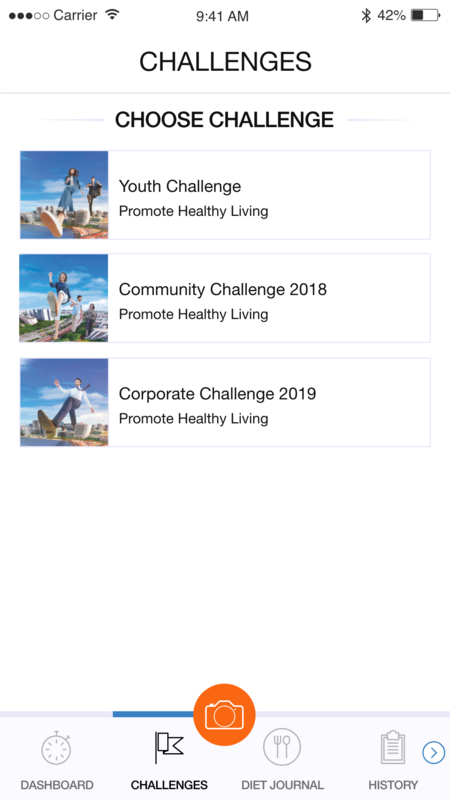 The Corporate Challenge starts on 7 January 2019 and ends on 21 April 2019. Participants must be an employee of the organisation and at least 17 years old at the time of signing up. 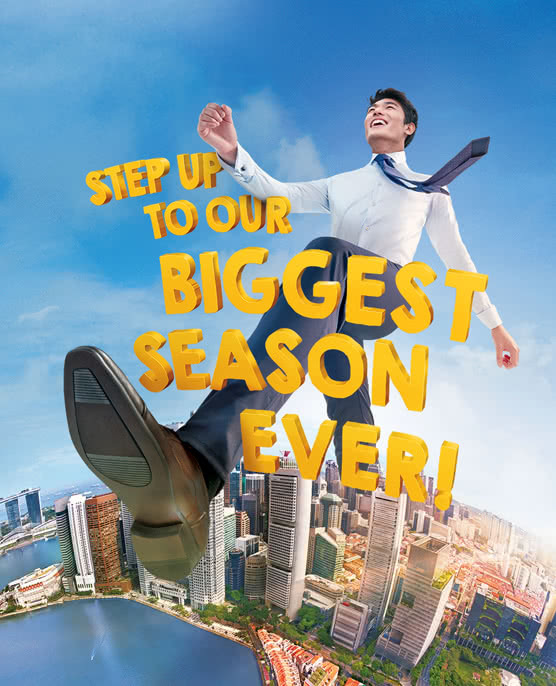 All Corporate Challenge participants will also be automatically signed up for the National Steps Challenge™ Season 4. Other terms and conditions apply. For full details, please visit stepschallenge.sg/corporate-challenge. 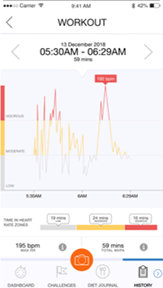 1For participants who are using one of the compatible mobile apps and fitness trackers, your device needs to be able to track heart rate data in order to contribute towards the MVPA category. 2Applicable to selected fitness tracking devices compatible with Actxa®, Garmin Connect™ or Polar Flow mobile apps. You are strongly encouraged to exercise discretion when embarking on Moderate to Vigorous Physical Activities (MVPA). Please complete the health declaration on the Healthy 365 mobile app and ensure you are in good fitness condition before attempting MVPA. If you have an existing heart condition or any other illness and/or injury, please consult a doctor prior to your participation. Please go through the Physical Activity Readiness Questionnaire (PAR-Q) before embarking on the Challenge. Select “Apps” on the Menu bar and choose your preferred fitness tracking device to pair with the Healthy 365 mobile app. Exclusive Discount for National Steps Challenge™ Participants! 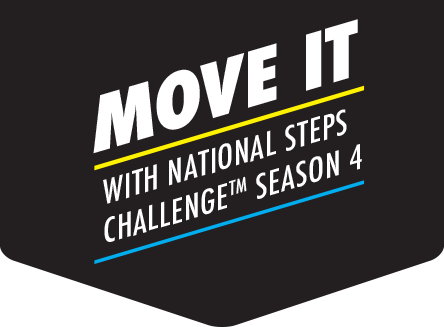 Sign up for National Steps Challenge™ Season 4 to get a promo code and enjoy an exclusive rate at $50 (U.P. $60) when you sign up for the race*. * Promo code is valid until 30 November 2018 and cannot be used in conjunction with other promotions, such as the Standard Chartered Cardholder discount.